LIFE IN THE END ZONE: Can We Talk? 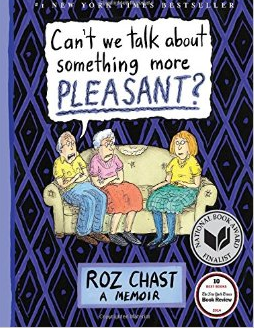 Roz Chast first published Can't We Talk About Something More Pleasant? in May of 2014. I thought it was one of the most honest, trenchant, and poignant descriptions of the last phase of life I'd seen. It's funny; it's sad; it's insightful. And it has much to teach caregivers. In honor of the imminent release of the paperback version, I had the opportunity to ask the author a few questions, which I'm posting here together with her responses. I'm including half the answers this week and the remainder will be posted next week. MG: Your parents died in 2007 and 2009, but it looks as though you finished your book in 2014. Were you working on it all that time, creating the cartoons and the accompanying text, in which you capture your mother’s emotions, your father’s emotions, and your emotions, so beautifully—guilt, denial, affection, exasperation—or did you only start working on it years after their deaths? What made you decide to do this book, which is sometimes painfully honest and not the most flattering portrait of an aging couple? RC: I wanted to remember my parents. I wanted to remember who they were—what they sounded like, the kinds of things they talked about. What they ate, what they argued about, how they looked… I have a kind of horror of forgetting things, and for me, writing and drawing about something is a way of remembering. 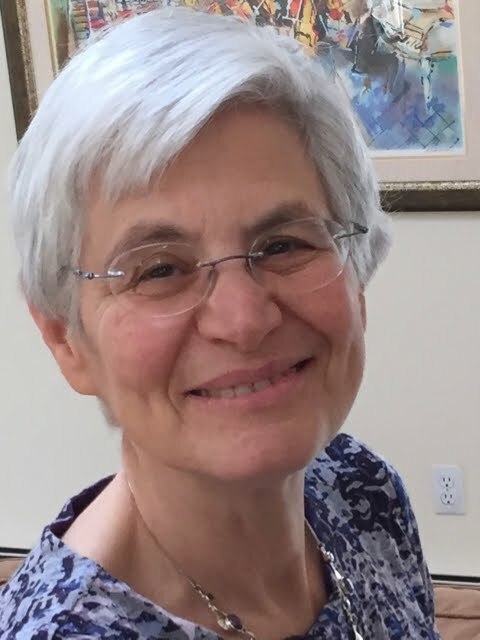 MG: In your book, there’s no mention of any doctor ever trying to engage your parents in a discussion of their wishes, not until years later when your father was 95 and hospitalized with a hip fracture and a DNR order was finally written. To the best of your knowledge, in the years between the beginning of the end (2001) and their respective ends (2007 and 2009), did any doctor ever try to bring this up? What do you make of this? RC: As far as I know, no doctor brought this up. But I didn’t go with them to their doctor appointments until the very end, so I don’t know. RC: That is a completely true story. It was the son of my parents’ friends. His name, as I recall, was Ricky Laska. The others were also stories I’d heard growing up: flower pot falling on guy, oboe, sitting on ground. ..Just thought I’d mention that. MG: Speaking of states in between functioning—sort of—and being a pulsating piece of protoplasm, you do a terrific service by dwelling so much on what I call the in-between state, on frailty and decline, not just on death. For much of the time between your first visit to Brooklyn in 2001 and your mother’s death in 2009, she was frail. Your father spent over 5 years in this state of progressive dependence and disability. Do you have other thoughts about what would be useful to adult children when their parents are in that period of gradual decline? RC: Get an elder lawyer to help your parents sort out stuff, to get a current will, to learn what “power of attorney” and “health care proxy” means, etc. And if you’re the person in charge, keep a notebook where you write down all of the info you’ll have to keep track of: what drugs your parents are on, the dosages, their doctors, their doctors’ phone numbers, their pension plan information, the super and the super’s number, their neighbors and their numbers, bank info, your parents’ social security numbers… And if you’re in charge of hiring people to help take care of them, you’ll have to keep track of all of that too. Maybe to some people, this stuff is a big nothing. To me, it was very anxiety-producing. The final part of this interview will be posted next week.